Organised by the UK Green Buildings Council, more than 50 business leaders – including the heads of some of the country’s largest construction firms – have signed an open letter urging energy secretary Greg Clark and housing secretary Sajid Javid to address a significant policy gap in the field of energy efficient buildings. The letter writes that the construction and property sectors stand “ready to deliver on bold targets for energy performance and low carbon solutions”, but warns that the two sectors require urgent medium- and long-term policy certainty if they are to do so. It stresses that the industries are in agreement with the government’s own independent climate watchdog the Committee on Climate Change, which in its official response to the government Clean Growth Strategy said that new building standards needed to be tightened without further delay. This, according to those who have co-signed the letter, needs to start by the government “swiftly confirming” that from 2020 energy performance standards are to be “significantly improved”, followed by the requirement that all new buildings are to be net zero carbon by 2030. Such a requirement could prove a boon for the C&I solar sector, with the technology ideally suited to contributing towards net zero targets. “A construction industry equipped to meet the future can play a pivotal role in delivering the clean growth that lies at the heart of the government’s new Industrial Strategy. We urge you to deliver the policy certainty we need to enable us to play our full part in driving the UK economy forward as we look to a post-Brexit future,” the letter signs off. The government’s track record on building environmental standards is somewhat chequered. An update to building regulations, unchanged since 2014, has been hamstrung by the Hackett Review into building regulations and fire safety triggered by last year’s Grenfell Tower fire. However, the then Department of Communities and Local Government confirmed to Clean Energy News back in December 2015 that the nearly zero energy building (NZEB) standard imposed by the European Commission would be included in building regulations for 2020. However, it remains unknown if this is still the case following the Brexit vote, and would not be the first time energy performance measures had been removed prior to implemantation. 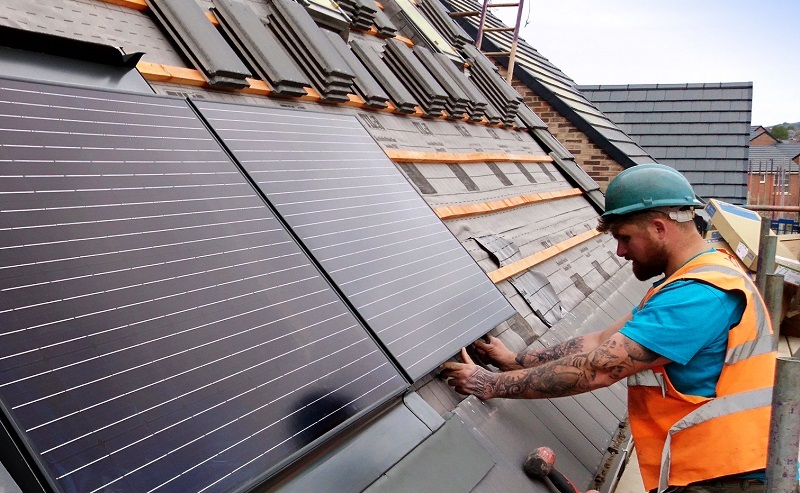 The 2015 decision to cancel the Zero Carbon Homes policy, made less than two months after the Conservative Party’s surprise election win that May, has been widely pilloried and lambasted as both “irresponsible” and “the worst thing the Tories have done”. Julie Hirigoyen, chief executive at UK GBC, said that the built environment had a “huge part” to play in reducing the country’s emissions, something that was recognised by both the industry and the government’s advisory body. “Time and again UK GBC members tell me they are looking to government to provide policy certainty in order to drive investment and catalyse innovation. We have not seen changes to Building Regulations since 2014, and the scrapping of the zero carbon policy in 2015 was both confusing and unnecessary.